I had asked the lady at the counter that if it is suitable for dry skin and she mentioned that it is suitable for all skin types. So, I decided to go for it. Do read the post till the end to find out if it worked out for me. All this claims come with a (*) at the end, saying “When used in combination with Flawless Day Cream”. So, right there I grow suspicious of the product, which says that you can achieve what it claims when used in combination with another of their products. The main ingredients mentioned are bistort herb and grapeseed extract. According to the packaging, Bistort Herb works on first signs of skin ageing like wrinkles and fine lines. I am not an expert on skincare ingredients and I usually google everything and I did the same for these ingredients. I did not find much information on this particular herb and how effective it is as an anti-ageing ingredient. So, I do have my doubts on this ingredient. Grapeseed Extract is the other core ingredient mentioned and I think we all know a little bit about this ingredient. Its a really beneficial ingredient for the skin as grapeseed extract contains anti-oxidants specially Vitamin E and C and we all know how good they are for the skin. So, I am a bit convinced that this product does have some powerful ingredients. I really like the packaging of this product mainly because of it’s colour. The jar has a purple colour scheme and the product inside is also a light lavender-purple shade which is one of my favourite colours. The product comes in a very sturdy jar. The jar feels quite heavy and luxurious and the packaging feels like glass, but I am pretty sure it’s a good quality acrylic body. If you have this product and you think it’s a glass body then please comment down below. LOL. I purchased this product for Rs. 990 and you get 50 gm of product in the jar. 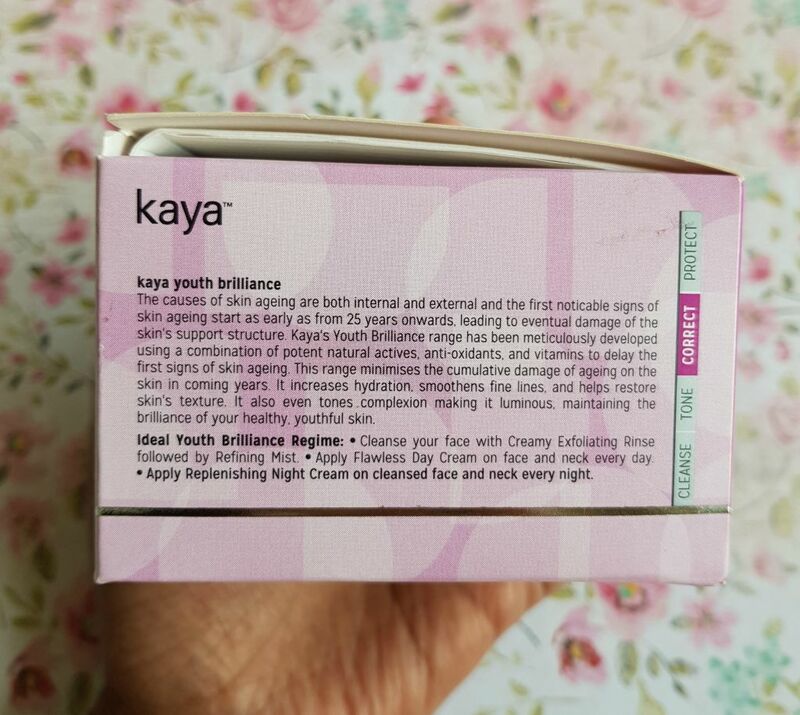 The price point is quite fair I feel, since it is a specialised product and coming from a brand like Kaya. I was expecting the product to be even more expensive. But, definitely this is not a super affordable night cream and you do have a think before investing in it. 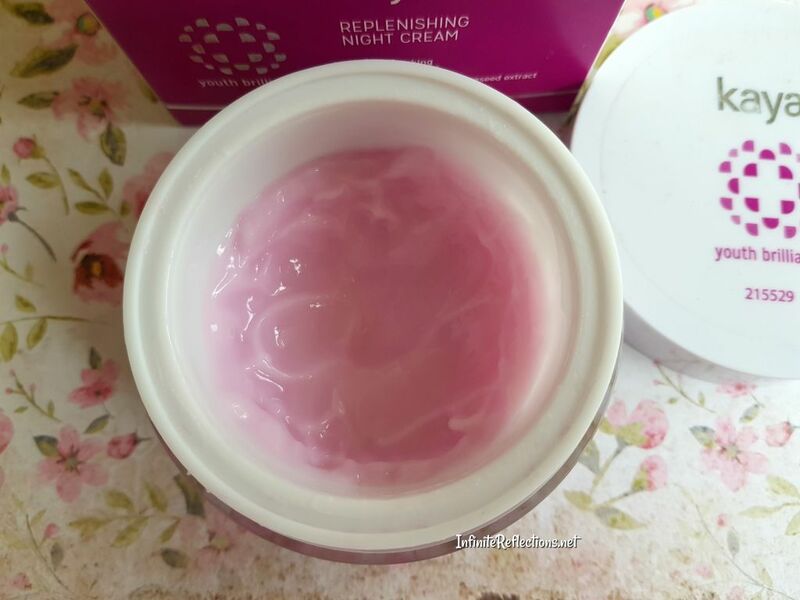 The night cream has a delicate fragrance although the fragrance is quite artificial. It doesn’t smell floral or fruity to me but it smells more like those cold creams which are available in the market which have a mild chemical scent but somewhat pleasant. I am not bothered by the scent as it is really mild. The texture feels like a semi-gel like formula and it feels very light weight. The good thing is that it continues to feel light weight even on the skin and get very quickly absorbed. 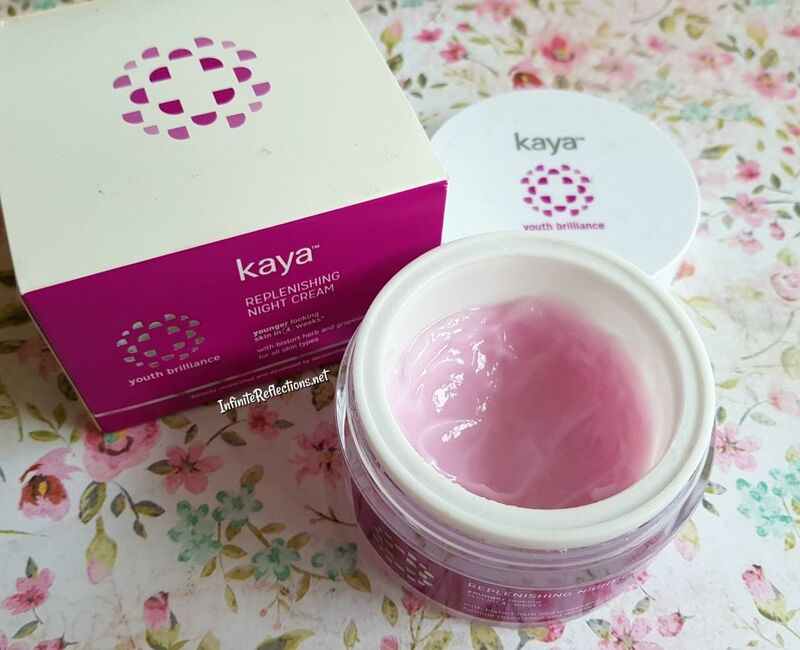 The texture of this cream remind me of silicone based primers and feels quite slippery like them but within seconds the product gets absorbed into the skin. This has to be applied as a night treatment cream every night after cleansing and toning. 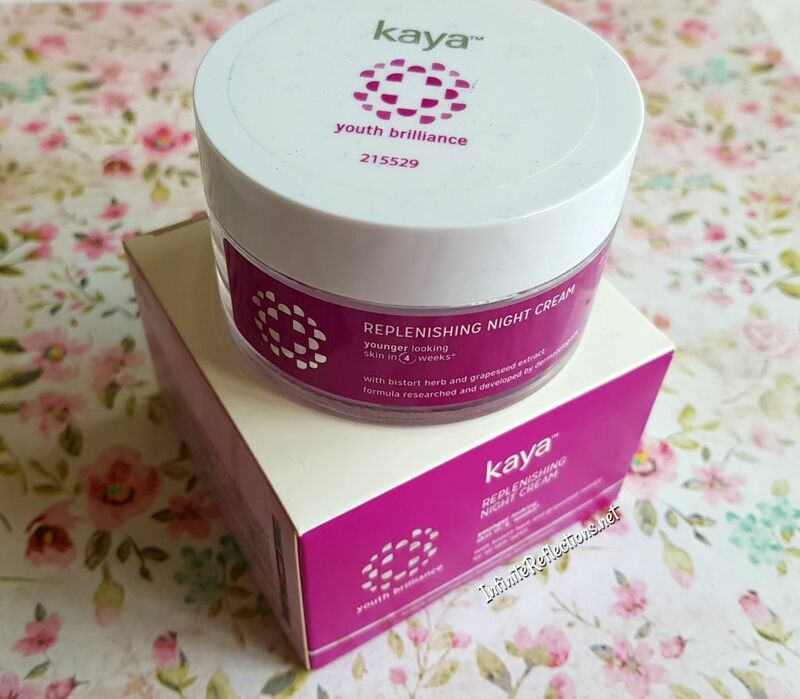 Now, did this night treatment cream do wonders for my skin? NO. But, do I think it’s a bad product? NO. I think this was a very average night cream for me personally, as I have used better ones. 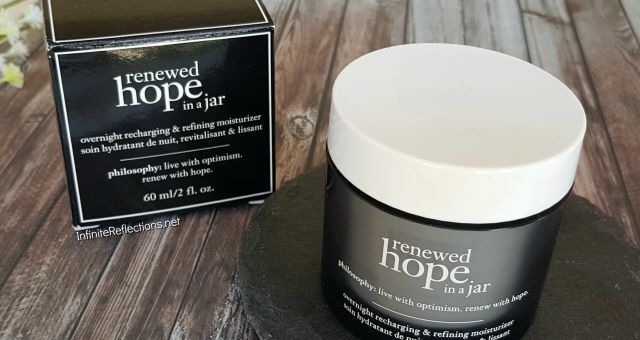 As claimed by the product, it does feel like it gives a smoother appearance to the skin the next morning but other than that I did not find it doing anything extra-ordinary for me. It did help to maintain my skin nicely and I did not face any kind of issues while using it. 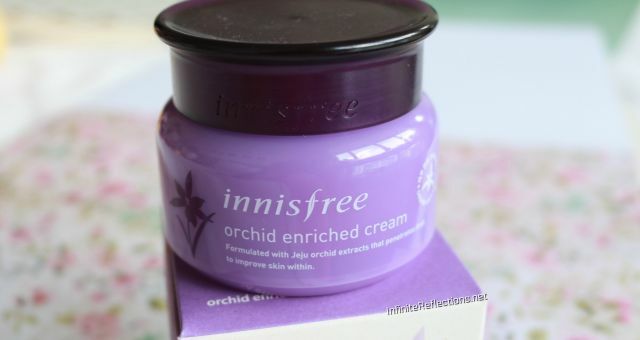 The biggest problem which I had with this cream is that my skin didn’t feel hydrated in the morning. The product gets so quickly absorbed that in the morning I used to find my skin very dry. To curtail this problem, sometimes I used to apply a bit more than usual, then in the morning I would find some product just sitting on my skin and even then my skin didn’t feel hydrated enough. So, I think this product just couldn’t give me the hydration I need from my night creams. As a result, I never noticed any kind of healthy, radiant glow in the morning as claimed. So, I will not recommend this product for people with dry to very dry skin. This product did work a lot better on me on the days I was having more of a normal skin. So, I think if you have normal skin or combination skin then this product might work for you. If you have very oily skin, then you might find this cream quite greasy so I will advise you to check this out at the store before buying. This product also contains Niacinamide which works on dark spots to give a brighter skin. I didn’t notice much of a difference in this department, although I didn’t have too many dark spots to begin with. Also, all these claims do come with a (*) mark saying “When used in combination with Flawless Day Cream”. So, I am not sure if that is why this product didn’t really work that well for me, since I used this product alone. I have always thought that these are just marketing gimmicks to get the other product to sell too. But, I guess I will never know. Anyways, I don’t think I will be repurchasing this night cream. 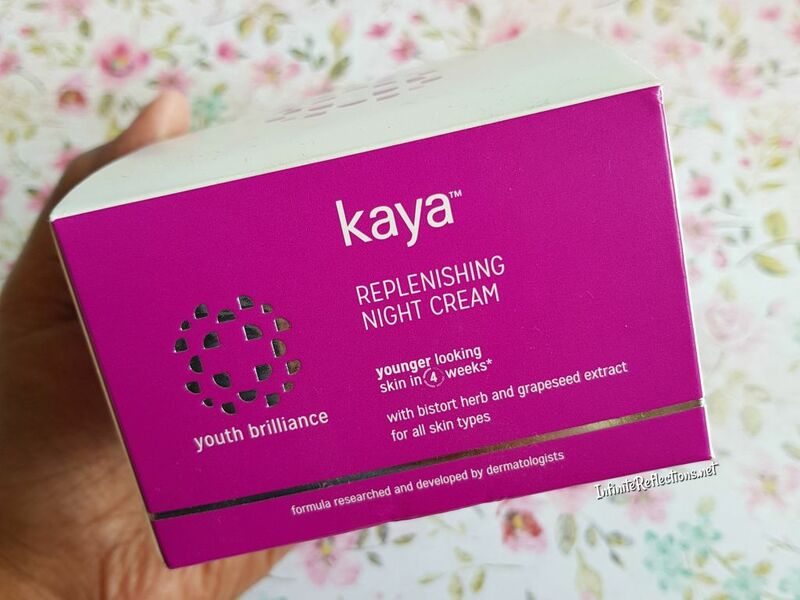 I did see some good reviews on Nykaa, so there are people who are enjoying this. I will definitely not recommend this night cream for dry skin. For other skin types, it still maybe a good buy. 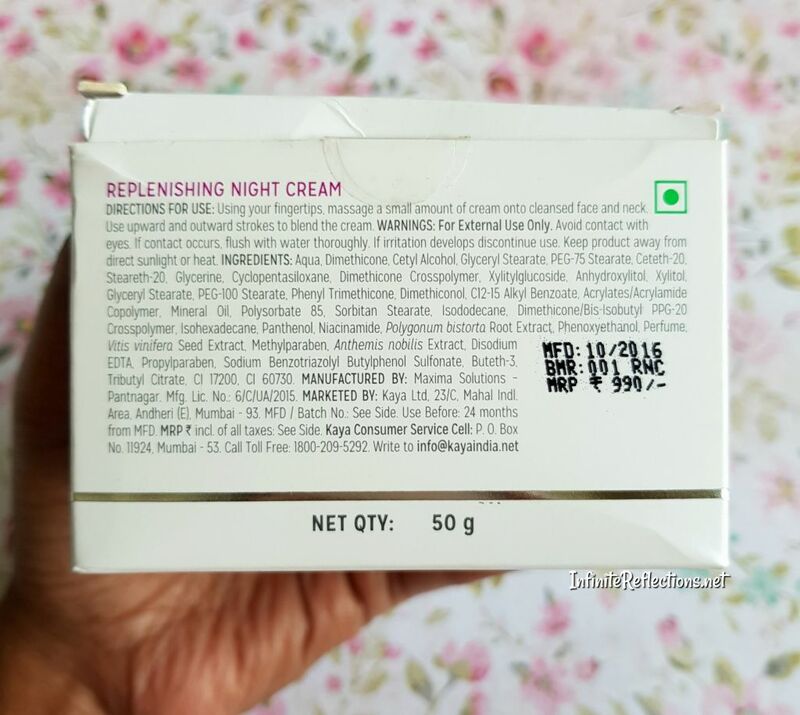 If you have used this night cream, then please do let us know in the comments how it worked out for you. Giving this a pass!!! Though I have oily skin, it still demands moisturization that lasts till morning. Even I was intrigued by so many good reviews but thank God I waited for a trusted review. This may work for other ppl but not one of my faves for sure..
Oh that’s good to know.. I haven’t tried that one.. This cream is not for winters. Suggest any moisturizer for harsh winters plz. Yeah definitely.. is jergens available in India? they have nice moisturizers for winters.